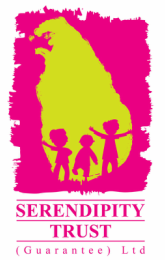 When the Serendipity Trust moved to a new larger location a Grand Opening of the new Serendipity House was held! Sunday 14th September was a very special day with the first children's programs being offered at the new premises. Children enjoyed an afternoon of play group activities, canvas painting, paper craft workshops and face painting. Of course no celebration is complete without a special cake!